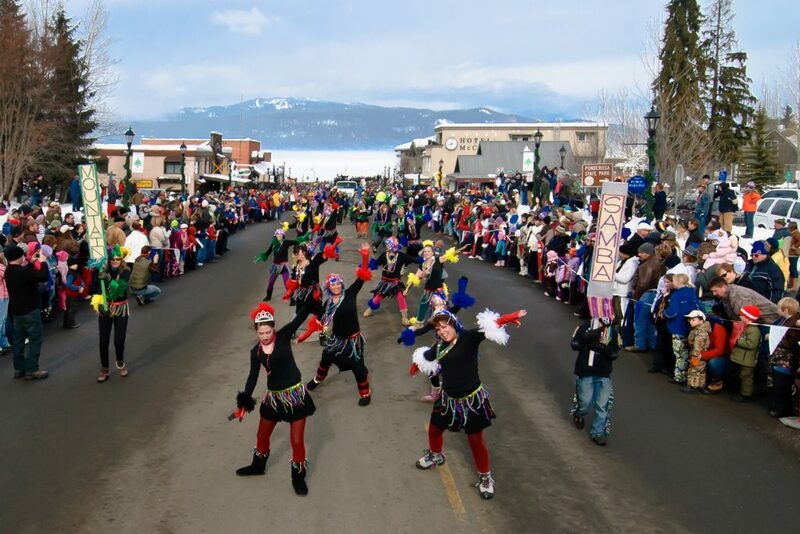 The Mardi Gras Parade is one of highlights of McCall’s annual Winter Carnival. More than 60,000 people are expected to descend upon McCall over the next two weekends for the annual Winter Carnival. This year’s theme is “Legends, Myths and Superheroes,” which means that Sharlie, McCall’s purported lake monster, likely will be spotted among the figures in this year’s snow sculpting contest. Fireworks, parades, snowshoe golf, ice skating and sled dog races are some of the other things you can expect to find at the festival happening Friday through Feb. 3. 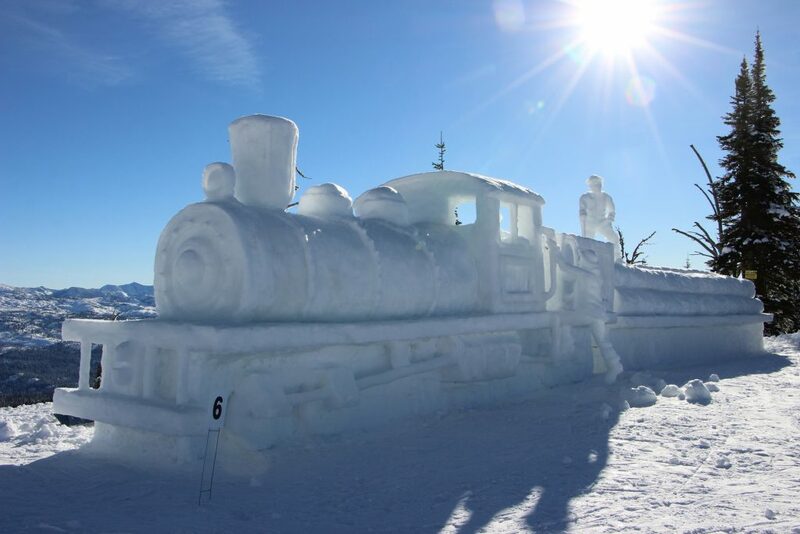 Large snow sculptures can be found around town as part of an annual competition. The Children’s Torchlight Parade kicks off this year’s carnival at 6:30 p.m. Friday, followed by opening ceremonies and live music at Depot Park. Fireworks begin at 7. The Mardi Gras Parade starts at noon Saturday downtown, with live music at Depot Park from 4 to 9 p.m.
Sled dog races were introduced at last year’s festival and return this year with two distances, a 150-mile course and a 300-mile course. The event is a qualifier for the Yukon Quest and the Iditarod. A Ceremonial Start and Meet the Mushers event is at 2 p.m. Tuesday at Ponderosa State Park. 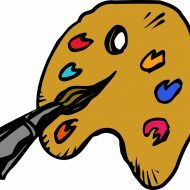 Find more events and a schedule online at mccallchamber.org.